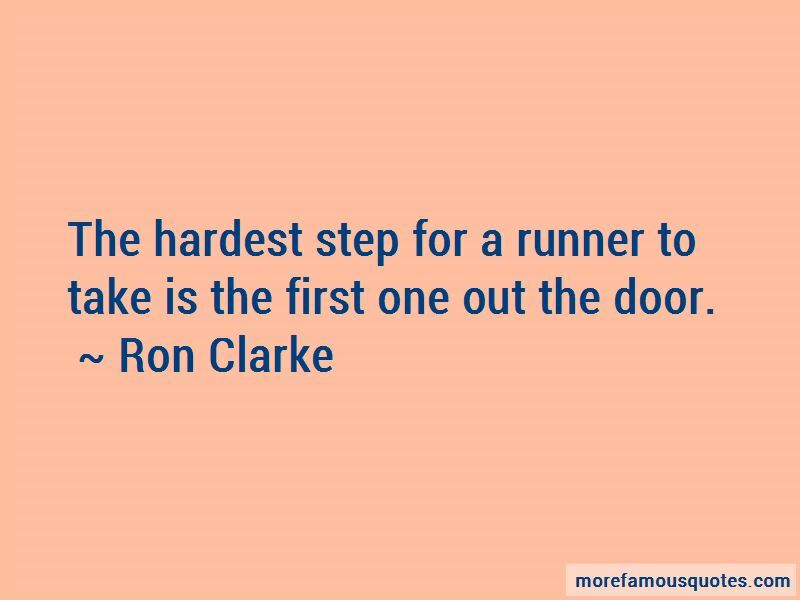 Enjoy the top 8 famous quotes, sayings and quotations by Ron Clarke. I got tired of seeing otherwise innocent young kids from all walks of life getting criminal records for, in effect, doing nothing more than millions of other people in society were doing with alcohol. It makes me sick to see a superior runner wait behind the field until 200 meters to go and then sprint away. That is immoral. 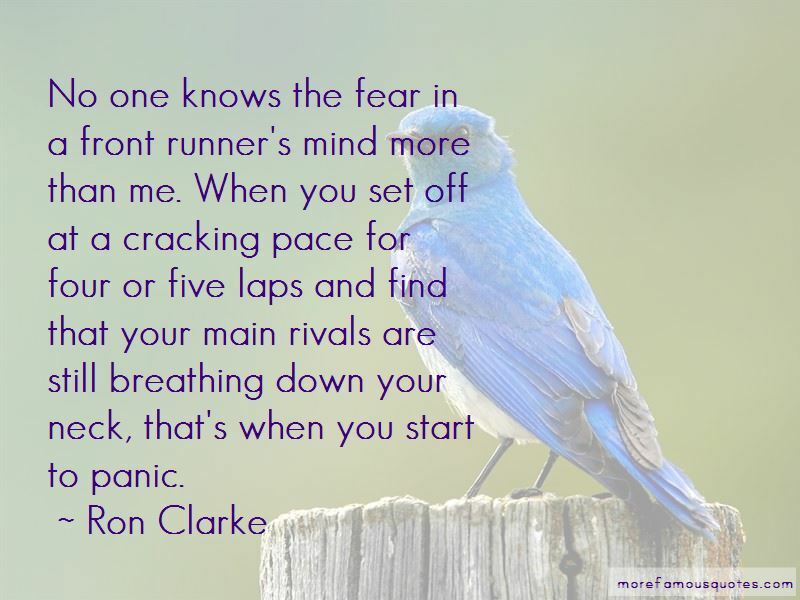 It's both an insult to the other runners and a denigration of his own ability. 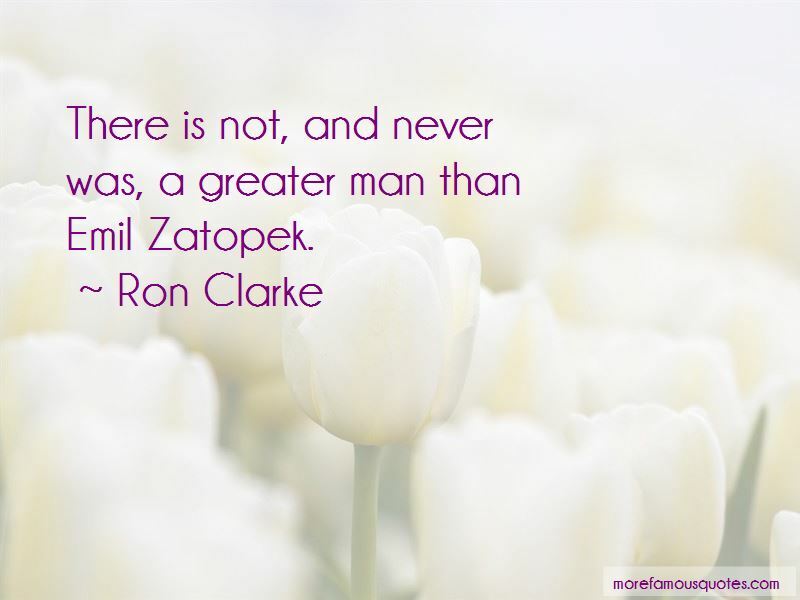 Want to see more pictures of Ron Clarke quotes? 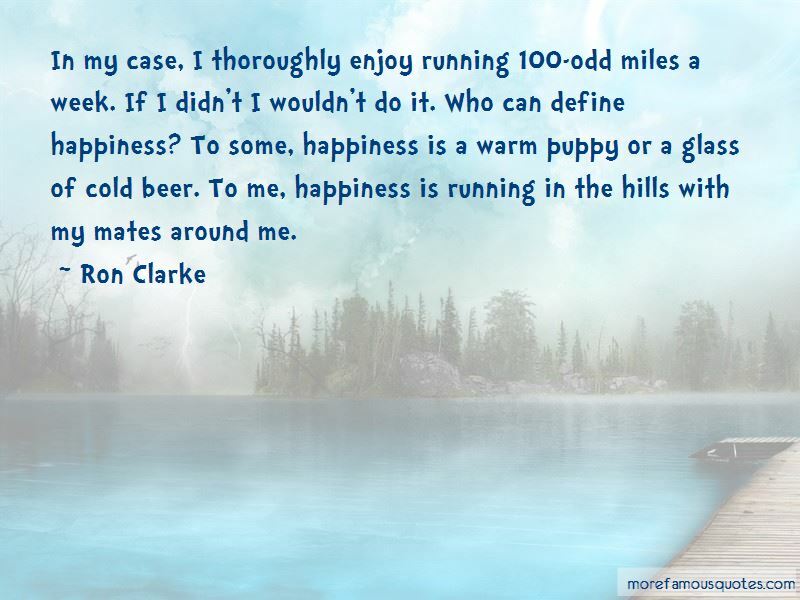 Click on image of Ron Clarke quotes to view full size.